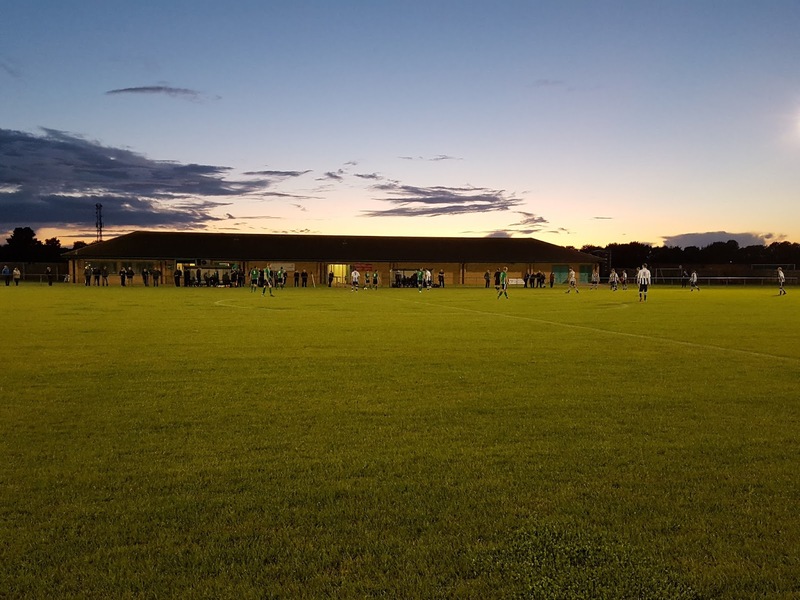 My twenty-fourth ground of 2017 was on Wednesday 13th September at Eslaforde Park in Sleaford, Lincolnshire. 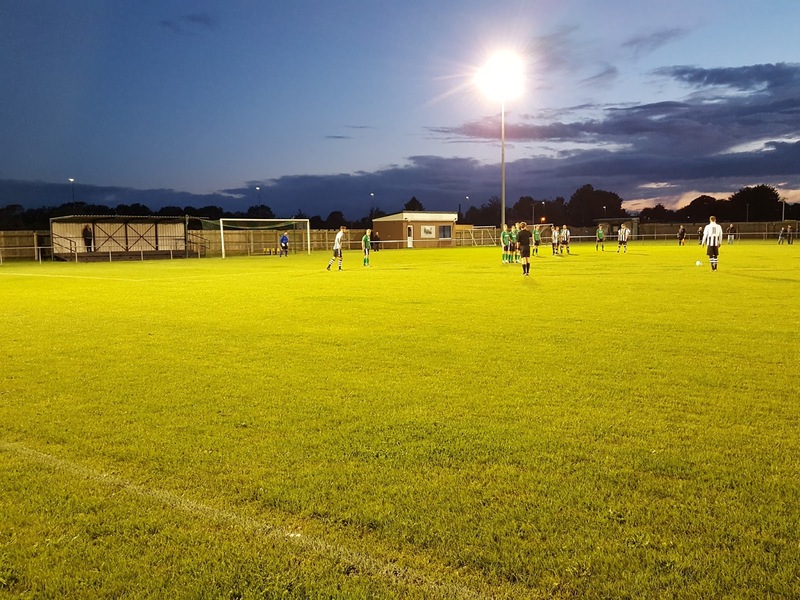 The match was Sleaford Town vs. Peterborough North Star in the United Counties League Premier Division. Eslaforde Park is a sports complex on the eastern tip of Sleaford. The ground is bordered by three full-size pitches to the north, two mini-pitches to the west and one mini-pitch to the south. The eastern border is the edge of the complex so backs onto fields. The complex is one mile east of Sleaford railway station in the town centre. The club played at The Rec until 2004 when they moved to a temporary home at RAF Cranwell in order to gain promotion to the United Counties League. Eslaforde Park was completed in 2007 allowing the club to move to its new permanent home. The western side of the ground has a clubhouse which contains the dressing rooms and a club bar. Within this is a food outlet which faces both into the bar and out to the pitch. In front of the clubhouse is a grass section leading a strip of hard standing which runs the entire length of the field. The other side of the spectator barrier are the two dugouts. 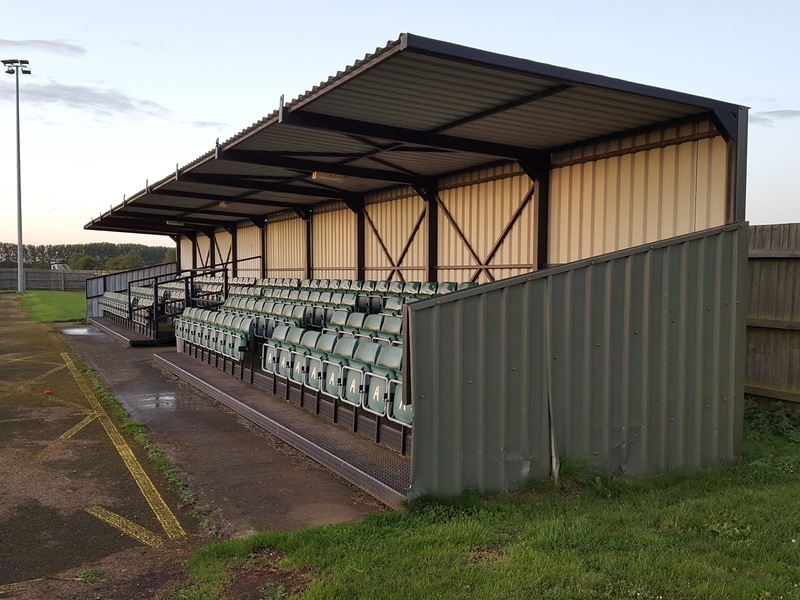 This hard standing extends round the entire ground though there are a couple of stands to meet ground-grading requirements. 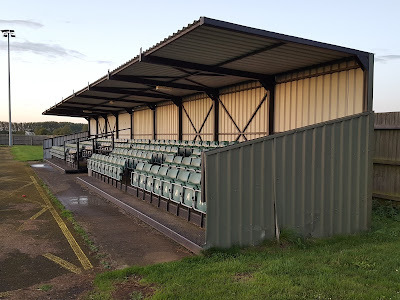 On the eastern side there is a 160-seat structure while behind the southern goal there is a 4 row metal terrace for covered standing. There is an additional building in the south-west corner to house club property. 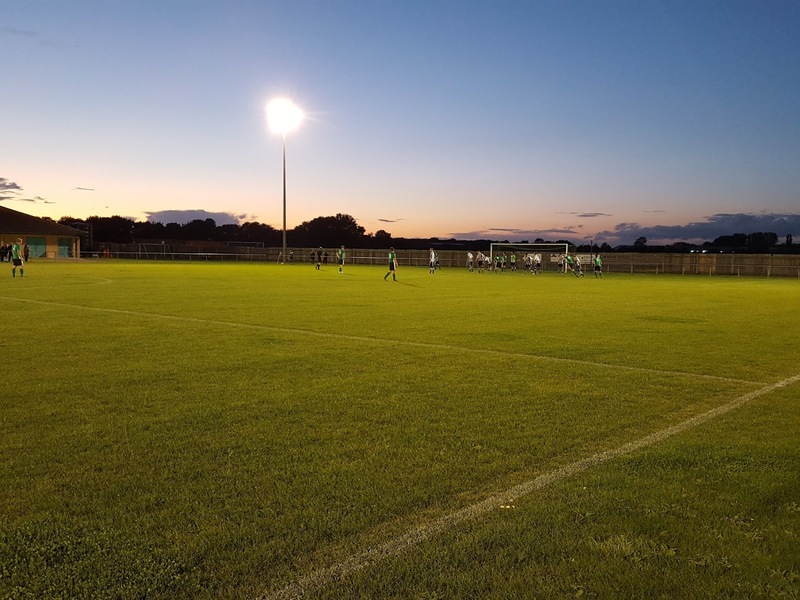 Sleaford began the match well and in the 2nd minute a corner was poked goalward and cleared off the line by Northern Star. This seemed to wake up the visitors who were the better of the two sides after this. They went close in the 18th minute when the ball was passed out to Matthew Barber on the right wing. Barber beat his man before driving the ball straight at Sleaford keeper Garry Doran. 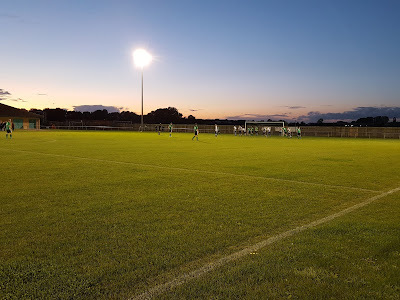 In the 29th minute Northern Star got their noses in front when Matthew Cox picked up the ball near the edge of the box, played a neat one-two with Craig Rook and steered the ball low across the goal in off the far post. At 1-0 down at the break the hosts needed to make sure they didn't concede a quick goal after the restart. Unfortunately for them this is what exactly what happened. Again it was Matthew Barber causing the home defence difficulties as he picked up the ball on the right and shot low. Doran palmed the ball straight to Zak Munton who tucked in the rebound from close range. In the 57th minute the game changed when Northern Star defender Daniel Wilson got tangled up with a Sleaford player. In frustration he lashed out and struck him in the face so received his marching orders. With the visitors down to ten men it was a far more even final half an hour. Sleaford's Ben Machin had a shot cleared off the line in the 84th minute before the hosts grabbed a goal back in the 90th minute when a through ball to Michael Haydon bypassed the defence allowing Haydon to shoot past the keeper from 12 yards. Sleaford were unable to generate any chances in injury time so went down to another defeat to leave them near the foot of the table.